food is such a personal thing. do you like your brownies cakey or fudgey? your hamburgers well-done or raw? your sweet red bean soup with orange peel or without? (okay, that last one is probably not something you think about on a regular basis, but if you do, hmu. let’s have a red bean soup date). baba ghanoush isn’t any different. do you like it tangy and lemony and bright? does it matter if you use japanese or globe eggplants? or perhaps you care about appearance, and you add some herbs to break up the monotonously beige wall paste look. or maybe you don’t want the eggplant too charred, because it comes off as bitter, or maybe you want it blackened because it’s too one noted otherwise. everyone wants something different, and i don’t feel qualified to suggest a recipe based on what i like. i like my baba ghanoush predominantly sweet and smoky, the inherent sweetness in the eggplant balancing the smoky char from the grill. though, of course, roasting it works well, too (half it, then roast until soft and tender; about 45 minutes at 350F). a little decadent, and a little nutty, thanks to extra virgin olive oil and tahini. lemon juice to cut through it all. i’m anti-parsley (it tastes like soap and don’t try to convince me otherwise), and i really don’t care what kind of eggplant goes into it. and just as important as everything else, enough salt to make sure it doesn’t taste muted. you’re welcome for the non-recipe. Great minds think alike! 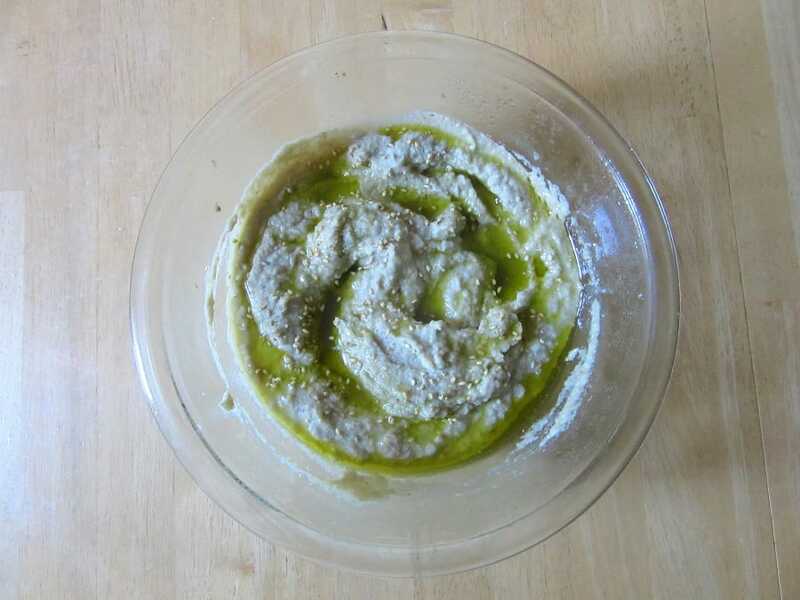 I posted a baba ganoush type dip earlier this week! Also, did you notice that it is incredibly hard to photograph and make look good? YES. i actually wanted to post this last summer when i was in a huge baba ghanoush groove, but it just kept coming out super grey and it was not happening. it still doesn’t look fabs but if you saw those other pics, you would laugh, hahaha. Baba Ghanoush is probably one of my favorite foods ever. I already love eggplant so much. I could eat this for lunch just with pita. So dang good!!! Baba Ghanoush isn't something that I eat often but ooooh this one looks it's something that I should eat on a daily basis!